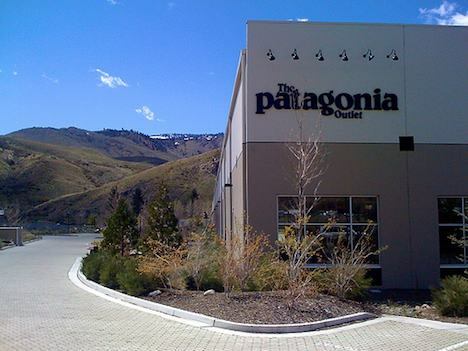 Once California-based companies had the opportunity to change their corporate status to Benefit Corporation, Patagonia, one of the most environmentally responsible companies in the world, registered for a newer, greener, more socially-aware corporate status. There are three requirements in order for a company to be considered a Benefit Corporation: 1) it must create a materialistically positive impact on society and the environment, 2) it must consider non-financial interests when making decisions, and 3) it must report on overall social and environmental performance through third party standards. In other words, a Benefit Corporation has to act more like a person with a strong environmental and social conscience, and less like a corporation whose main interest is maximizing profit for shareholders. Aside from Patagonia, other companies that registered on the first available day were Dharma Merchant Services, DopeHut, Green Retirement Plans, Give Something Back Office Supplies, Opticos Designs, Solar Works, Scientific Certification Systems, Terrassure Sustainable Land & Resource Development, Sun Light & Power, and Thinkshift Communications. A few Benefit Corporations aren’t enough to totally transform the whole of capitalism into a process that cares about the people in the community as well as the environment, but it’s undoubtedly a step in the right direction. With increased popularity of Benefit Corporations, and similar entities, maybe other businesses will catch on and the idea will grow, creating a thriving economy that doesn’t eat the planet alive. Do you think it’s possible?